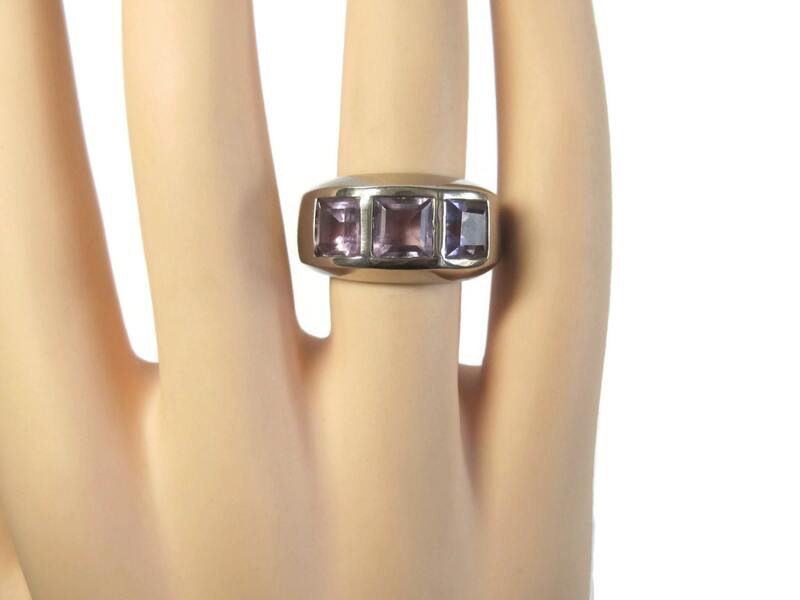 This beautiful ring is 925 sterling silver. 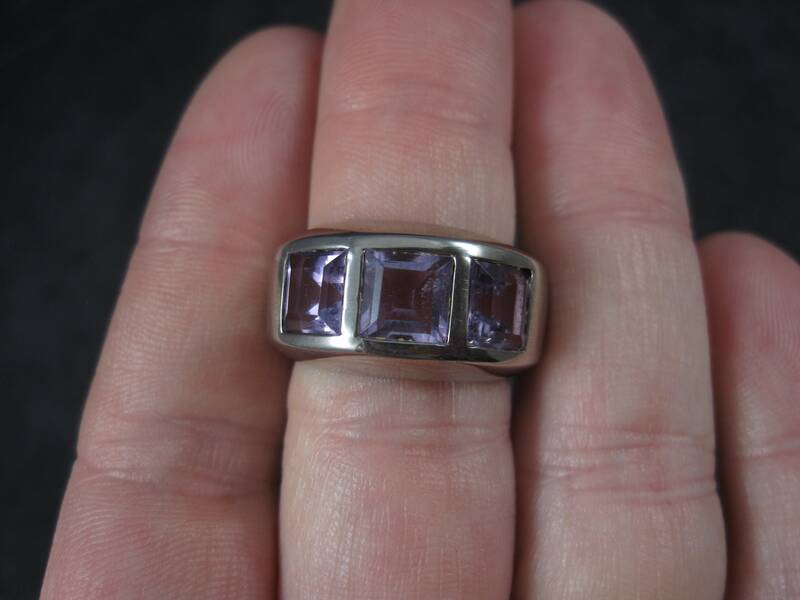 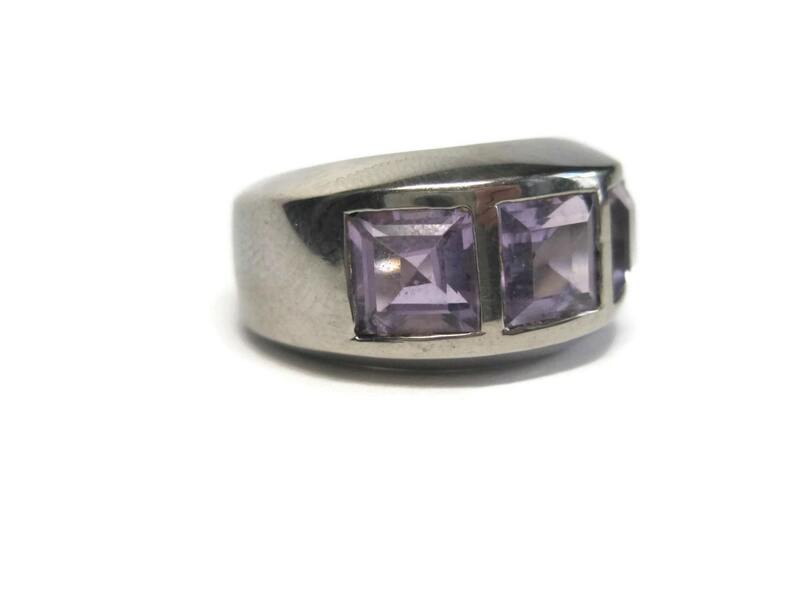 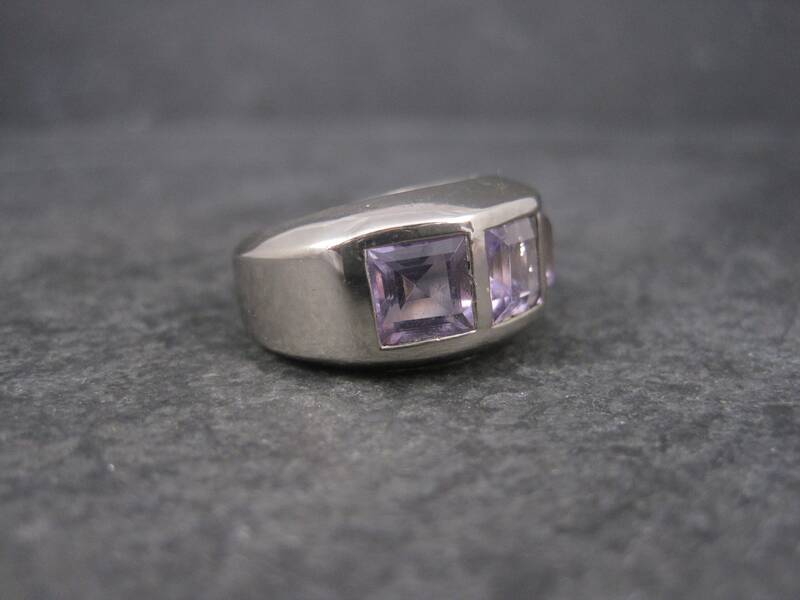 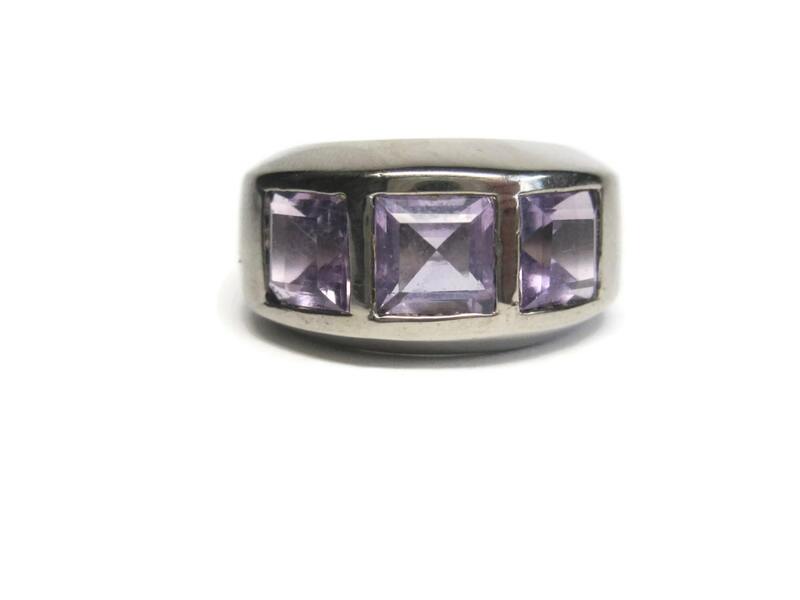 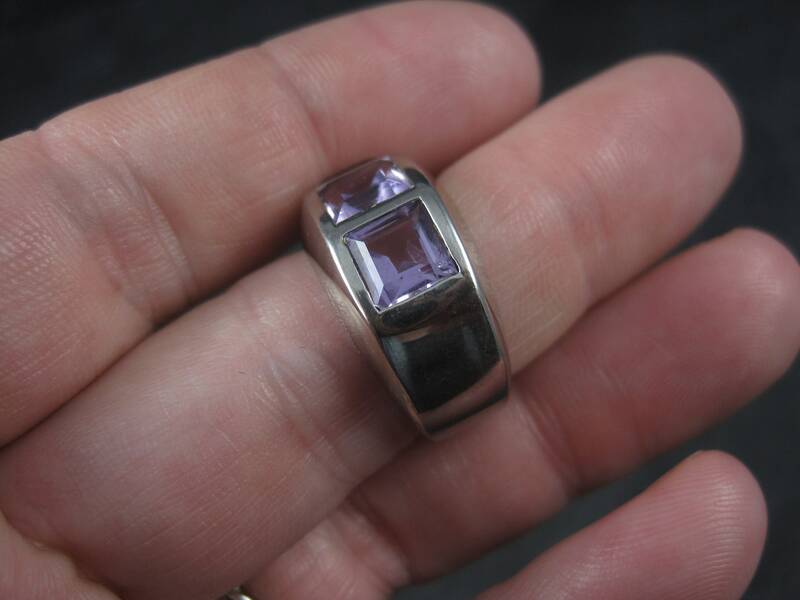 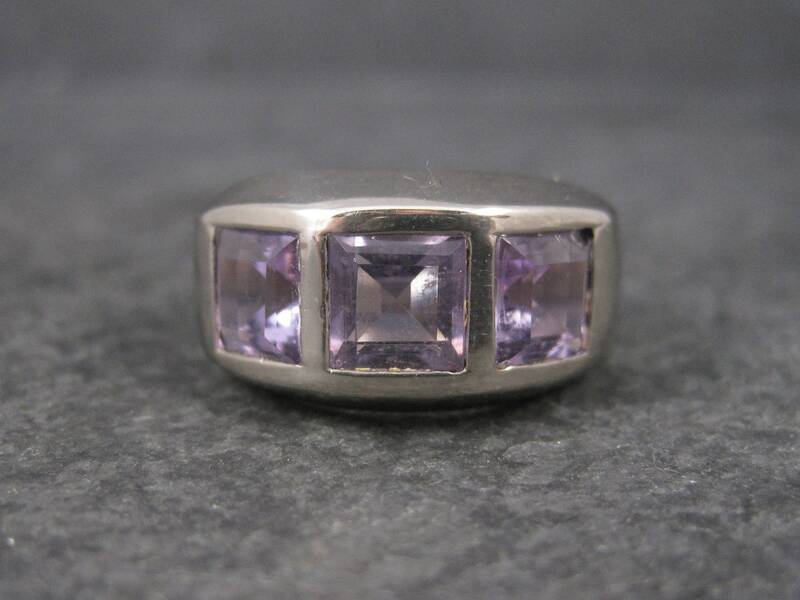 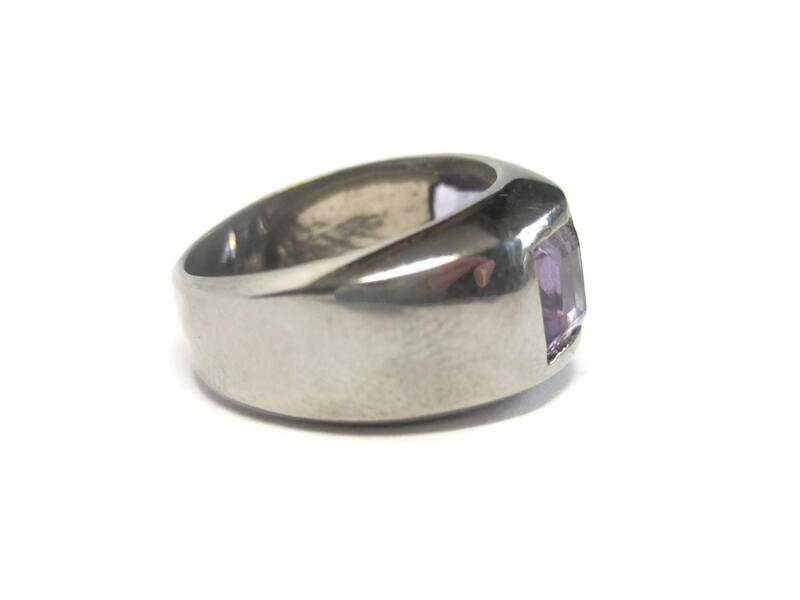 It features 3 square cut amethysts, each measuring 1.5 carats. 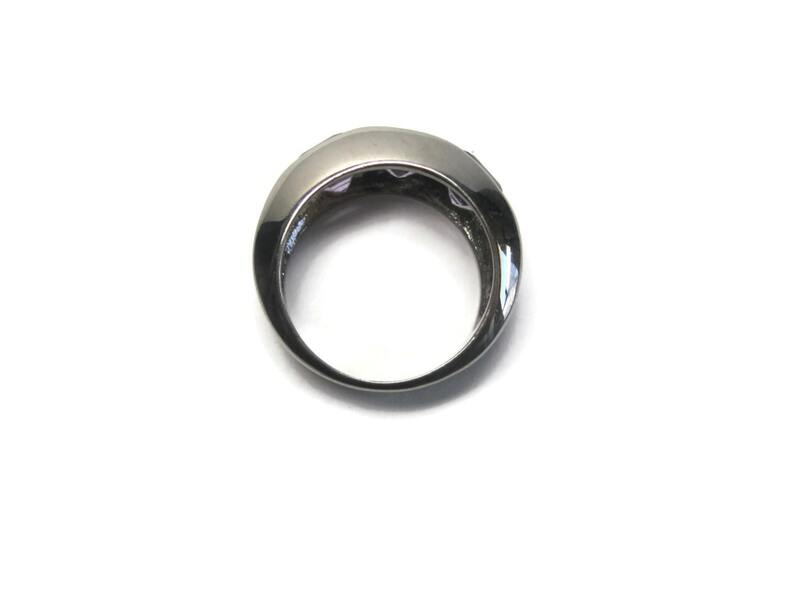 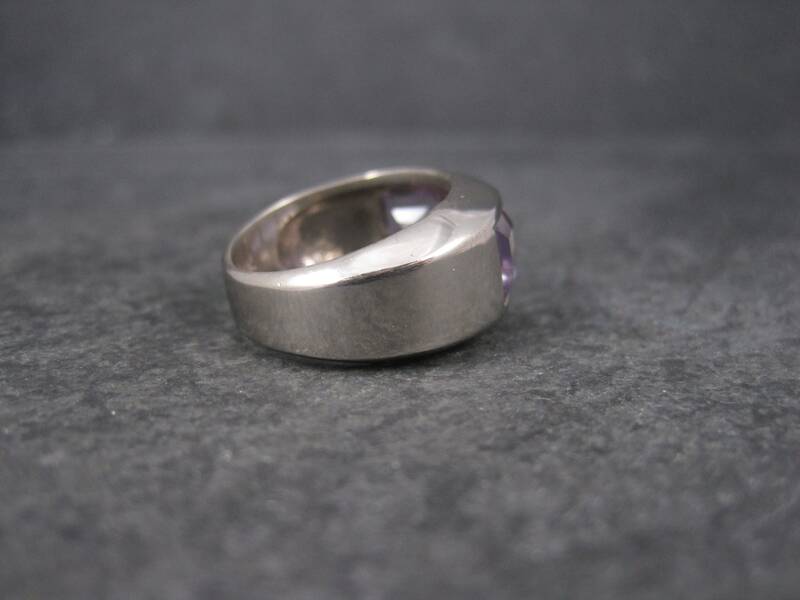 The face of this ring measures 7/16ths of an inch wide with a rise of 4mm off the finger.